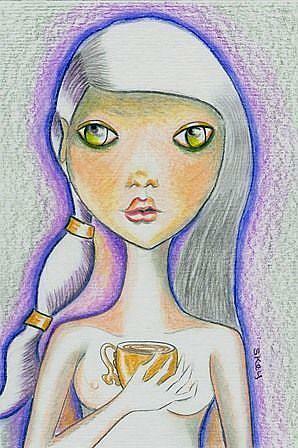 "Coffee = Joy and Inner Peace"
4" x 6" OSWOA done in colored pencils, on archival watercolor paper. Remember OSWOA come in only one size. A very collectible size of 4" x 6" landscape or portrait (standard photo album size).